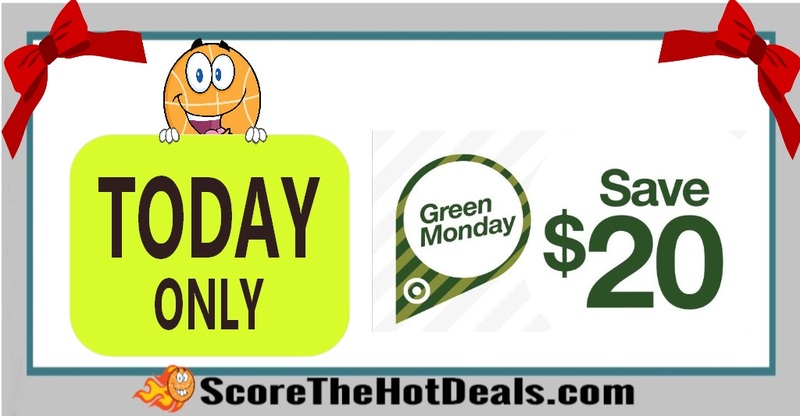 *TODAY ONLY* Save $20 Off $100 For Green Monday!! Have some more holiday shopping to do?! Hurry on over to Target TODAY ONLY (12/11/17) while supplies last and score $20 off $100 orders (limit $100 savings)! PLUS shipping is FREE! « Select Small Appliances – ONLY $6 After Rebate!